Born in London and having lived in South Wales, Liverpool, York and Nottingham, Lucy currently lives in a shed in her Dad’s garden in Scotland where she wears thermals for warmth and writes by candlelight. Lucy studied Fine Art at university which allowed her to get a glittering career in… food retail. 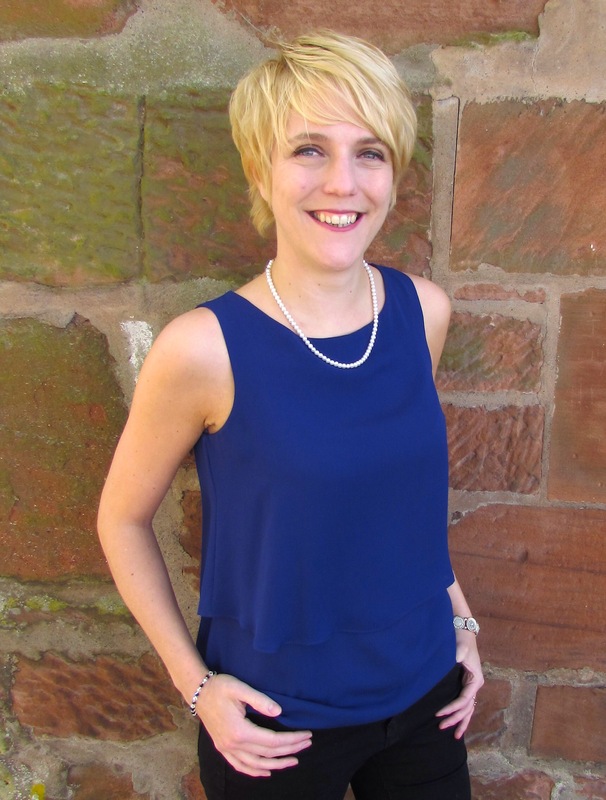 Working sixty hours a week in retail management hampered Lucy’s writing until a career-break took her to Scotland and the rest, as they say in history… Or should that be (crime) fiction? Couples are being slaughtered in their homes; women drained of blood, men violently beaten. There are no clues to track the killer, no explanation as to why an increasing amount of blood is being removed from the crime scenes. Detective Sergeant Rhys Morgan is seconded to the ‘Couples Killer’ investigation. Tormented by vivid nightmares, he hasn’t slept soundly for weeks becoming convinced a creature from these nightmares poses a threat to him and his family. His behaviour becomes increasingly erratic causing his bosses to wonder if he’s the right man for the job. As clues to the killer’s identity are uncovered, the line between what is real and what cannot be starts to blur and Rhys discovers the answer to catching the killer and exorcising his own demons, may be as irrational as he fears. 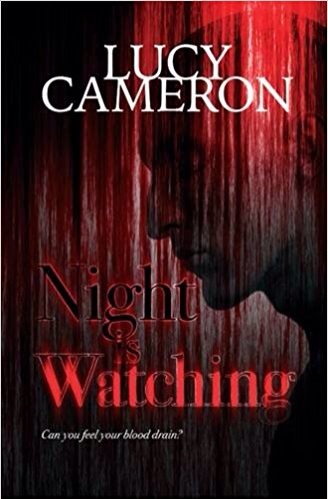 I had been toying with the idea for ‘Night is Watching’ for many years and made numerous starts at the book. I was doing what many writers do, writing and re-writing the first forty thousand words. About four years ago I moved to Scotland and decided it was time to sit down and write the book, or stop talking about it as I was boring myself, never mind others by going on and on about how I was going to write a book and never doing it. So that’s what I did and here it is. I was in London about six years ago waiting for a friend to finish work and stumbled upon a Karin Slaughter book that got me hooked into the genre. Not long after that Karin was on a panel at the Theakstons Old Peculier Crime Writing Festival so I went along and was introduced to a whole world of wonderful crime writing, and indeed wonderful people. I am really bad at being influenced by other writers styles while writing so try not to read as much during intense writing periods. If I had to pick (How difficult is this!!) Sarah Hilary, Steve Mosby, James Oswald and John Connolly are definite influences. I also really enjoy Christopher Brookmyre and Jay Stringer for their blend of humour in crime writing. Absolutely. I am not sure I know of anyone who didn’t. I met my publisher at a crime writing workshop weekend called Crime and Publishment. I highly recommend the weekend as it is an annual event that allows you the opportunity to pith to an Agent or Publisher as part of the package. I really believe the face-to-face conversation I had on this weekend massively helped me get my book published. 5. There are many interesting characters in your Novel,do you have a particular favourite one? Gosh, that’s a tough question. I really enjoyed writing the ‘baddies’ in the book, but then doesn’t everyone say that? My hero, Rhys Morgan was an interesting and challenging character to write due to the journey the story takes him on. The main research was around police procedure as it’s not something I knew a great deal about but luckily met a lot of really helpful people on my journey. I also had to do research around the crimes, things like the technicalities of the kinds of murder committed – What would happen if you hit someone with a hammer for example. 7. Are the characters in your book based on any real life? No. They are all entirely made up. I guess if any of them are based on real people they are based on different aspects of my own personality – make of that what you will! My novel is a psychological thriller with a twist of the supernatural, depending on how you view the world. The things that happen to my hero in the book could be real, or not, they could be in his head. It’s up to the reader to draw their own conclusions. I think Rhys Morgan and his wife Anna both contain elements of myself, or how I could imagine myself acting or feeling in their positions. 10. If you can, would you give us a sneaky peak into any future novels you have planned. I am currently working on a second book in what I hope will be a series of Rhys Morgan books, alongside a far lighter comedy crime caper so watch this space! The final scene of the book, and not just because it was the end of a tough journey. The final scene was the one that had been in my head for the longest, the one that I was striving to get the story to. And I think it works. I will be interested to hear what others think. Keep writing even when you think you have no inspiration, no time or it’s too tough. You will get there in the end.